Zircon is a natural stone with fire and brilliance that rivals even diamonds. In fact, it is sometimes used as a natural alternative for diamonds. The natural color of zircon varies between colorless, yellow-golden, red, brown, blue and green. Zircon is sometimes heated to produce a clearer, more intensely colored gem. A fragment of zircon is the oldest known object on earth. The name probably comes from the Persian word zargun which means "gold-colored." Traditionally, zircon is a gem of purity and innocence. Zircon is believed to aid sleep, bring prosperity, and promote honor and wisdom in its owner. Legend also has it that a zircon’s loss of luster is a warning of imminent danger. Don’t confuse natural Zircon with Cubic Zirconia (CZ). CZ is a man-made compound of zirconium, oxygen and yttrium, which was discovered in 1937. It lacks the silicon of a true natural zircon. Care: Zircon jewelry should be stored carefully because although this ancient gem is hard, facets can abrade and chip. Clean with mild dish soap: use a toothbrush to scrub behind the stone where dust can collect. Red zircon is a natural stunning red stone with great fire and brilliance. It can vary in shade from deep pink to red to red-brown, with the clearest red being the most valuable. Jacinth and hyacinth are terms that have been used extensively to denote red zircon. 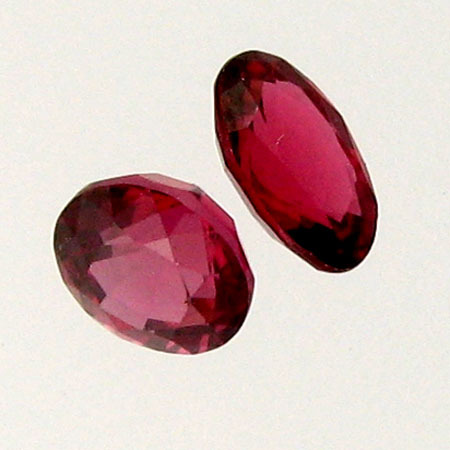 The development of red zircon occurs after hundreds of millions of years provided the crystal has sufficient trace elements to produce color centers.